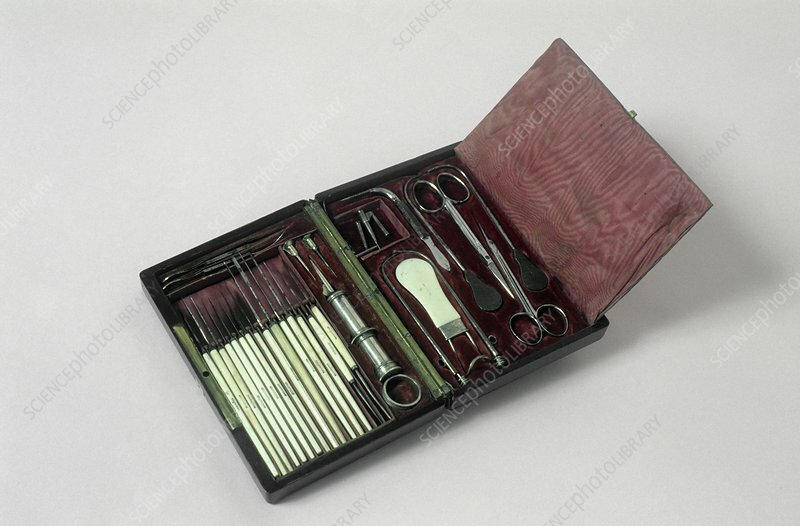 Comprehensive eye surgery set. This includes a lachrymal syringe, scalpels, scissors and an eyelid retractor. The nineteenth century was an era of great progress in eye surgery, it saw the first operative treatment of glaucoma (a condition affecting the pressure within the eye which can lead to blindness) and the introduction of cocaine as a local anaesthetic for ophthalmic procedures. This set dates from 1870, England.